This is a list of headline and extended period events that are worth an early mention. Prague is one of Europe's more beautiful cities with it's well known Charles Bridge and Wenceslas Square. And great beer! It has excellent and good-value public transport. I plan to spend 3 nights in Prague and then 2 nights in the much smaller Cesky Krumlov about 2 hours away by bus which Lonely Planet reckon is the Czeck Republic's only other world-class attraction. Book your own flights and hotels and feel free to choose different arrival/departure days or just do Prague only. I don't see myself as a tour leader organising every moment of the day but as a minimum we'll meet in a cafe each morning to exchange ideas for the day and in a pub and restaurant each night. The Conference AGM welcome delegates and weekend guests to Halifax. The arrangements for registration and the meeting place and times for the Friday evening events are yet to be finalised. These will be announced nearer the date of Conference. The Conference AGM Sessions 1 and 2 are in the Shibden room of North Bridge Leisure Centre, North Bridge Street, Halifax, HX3 6TE. Doors open at 9am, the conference AGM will start at 9.45am. See the conference section of the AIVC web site for details of the agenda, motions and officers reports etc. Delegates and others attending the weekend must arrange their own accommodation, there are suggestions on the aIVC website. Afternoon events will start at 2pm. The train and Bus stations and parking are all close by. More information is available on the aIVC website. Other possible things we can arrange and host Saturday or Sunday afternoon. Shibden Hall and Park - Entrance to the hall £5 Shibden Hall is a Grade II* listed historic house located in a public park. Used be owned by Anne Lister who is the focus of a TV drama to be aired later in the year. 1.3miles walk or take a regular bus service to the park and walk up to the house. Halifax IVC are sharing their usual Saturday night social to co-incide with the aIVC conference. You do not have to be attending the main conference AGM to join this event. It is also open to weekend guests. The Conference AGM Sessions 3 and 4 are in the Shibden room of North Bridge Leisure Centre, North Bridge Street, Halifax, HX3 6TE. Doors open at 9am, the conference AGM will start at 9.45am. See the Conference section of the AIVC web site for details of the agenda and reports etc. Sunday Afternoon events will start at 2pm if there is demand. The train and Bus stations and parking are all close by. Gloucester and Merseyside IVCs invite all members of IVC to join them in Bishop’s Castle for the weekend of Friday, 17th May to Monday, 20th May, 2019. It is a walking and sightseeing event. For late arrivals, there is a chippy a few doors away. For the organiser’s contact details and other confidential information, please, ask a committee member. Check https://www.meetup.com/Merseyside-Intervarsity-Club/events/259225807/ for the latest news. This is an IVC National Event. You must be a full (paid up) member of IVC to attend. If you are not a member do not contact the organisers. Speak with your nearest branch of IVC. Your nearest club is to be found at http://www.ivc.org.UK. A bird watching weekend on the Norfolk coast based in Cromer and visiting nearby first class nature reserves. You need to be a member of one of the many IVC clubs around the country to join this event. This event is organised by London IVC. Check out their website here. Join Merseyside on IVC's annual excursion to Shell Island (http://www.shellisland.co.uk/). From Monday, 17th June to Sunday, 23rd June 2019, for six nights under canvas. Shell Island is a stunningly beautiful place with very good facilities (hot showers, pub, shops and restaurant). It lies on the Welsh coast between Harlech and Barmouth. It is the largest campsite in Europe. When that nugget was first heard it rang alarm bells but it is the antithesis of a cross between Butlins and Hieronymus Bosch's vision of hell (http://youtu.be/-_7GUMX_K64). It is low density and in some areas almost wild. It is possible to camp 15 minutes walk away from the amenity block. As most children will be in school, the campsite will be quiet and the roads clear. Bring a tent, wine and walking boots. Some people arrive early and leave late, so you can add to the core weekend. It is perfectly all right to come for just one night. The daily charge is £7·90 per person or 47.40 for 7 nights. (If you are over 60 years old, bring proof and ask for the reduced price.) Over 60 £6.90 and £41.40. Bookings may be made online at the Shell Island website. In the evening we play petanque, barbecue and discuss what we will be doing the following day. It cannot be predicted whereabouts on the site we will be setting camp. There are favourite places but it is always possible for them to be already occupied. By our tents there will be signs bearing the Merseyside IVC emblem. We aim to pitch the tents in a big circle around a central gathering and cooking area. If you arrive when there is no one about, please do not set up in that nice big space in the middle. Members of other IVCs together with others who are not members will be attending this event. For those approaching from the north and the M62 corridor, the North Wales Express Way (A55) is strongly recommended. At Conwy turn south onto the A470 to travel up the Conway valley. After Llanrwst and after passing the road to Betws-y-Coed, take the turning on the right signposted Blaenau Ffestiniog. It is still the A470. At the bottom of the hill, before Blaenau Ffestiniog town centre, there is a very small round-a-bout. Turn right here, following the signpost for Porthmadog A496 (A487). As soon as you see them, follow signposts for Harlech, which will lead you onto the A487. Harlech is a medieval town stuck on a lump of rock and is to be avoided. Look out for the sign to Barmouth. It will indicate a right turn shortly before Harlech. Take that turn. It is further but quicker. Continue towards Barmouth. You will not be going as far as Barmouth. In Llanbedr look out for the Victoria Inn, cross over the bridge and immediately turn right towards the railway station. 2·2 miles later you are at Shell Island. If you miss the tide, go and eat in the Victoria. If you are a couple of minutes late do not be tempted to drive through. The salt water will ruin your car and the difficulty is not the depth of water but locating the road surface. Approaches from the south and east involve going through Dolgellau. The road between Llangollen and Dolgellau is prone to clogging with slow moving vehicles. Camping at Shell Island, which is situated on the coast of North Wales, just south of Harlech, was the perfect camping experience. The site was amazing, the views were stunning, the company was excellent and the weather was glorious.........what more could anyone want. The event was organised by Nick Wilkinson from Merseyside IVC, who proved the perfect host. Nick had been to Shell Island before, so picked an ideal camping spot for the group and had everything well organised. The camping party had 6 IVC members, from 3 different IVC clubs, Merseyside, Sheffield and Cambridge, as well as a few friends. Everyone arrived on Friday, in time to get tents set up and prepare for the BBQ in the evening. We ate exceedingly well, washed down with a glass or two of wine and sat around chatting and getting to know each other before retiring to our cosy accommodation. Saturday morning was a very chilled affair; people surfaced in dribs and drabs, boiled kettles, drank tea and ate breakfast before deciding what to do during the coming day. We split into different groups during the day, some people heading for Barmouth, others exploring the fabulous beaches and Shell Island itself and drinking tea in nearby Llanbedr. In the evening we had another BBQ ...........all in all a perfect day. Most people packed up Sunday morning after another lazy start to the day, before heading off home. My friend and I stayed on and visited Harlech Castle in the afternoon, a spectacular castle built by Edward 1 in the late 13th century. Unfortunately, I awoke the next day to the sound of rain at 5am.........well it was Wales! The rain was torrential and we even had thunder, but after breakfast it cleared so that we were able to pack up relatively dry tents before leaving to beat the high tide at 12:30. All in all the perfect weekend end away. Below Emma Thompson expresses the sentiment of IVC at Shell Island. One of the activity options is to stroll south along the beach the ten kilometres to Barmouth. At the halfway point, the Afon Ysgethin runs to the sea across a pebble beach. The water is only 20cm deep but you will want to take off your good footwear to ford it. Because of the pebbles, it is very uncomfortable in bare feet. A pair of crocks or old plimsolls are invaluable. There is another option for a group expedition. An option is to drive to Porthmadog and catch the Welsh Highland Railway (http://www.festrail.co.uk/) to Caernarfon (http://www.caernarfon.com/). Then going for an evening meal in Porthmadog to let the drivers rest a little before the ride back to Shell Island. Porth Merion (https://www.portmeirion-village.com/visit/) is nearby. Follow the links, have a think and it will be discussed at Shell. Please, note that the Merseyside IVC is considering leaving the Meetup system. Join us at the world's greatest entertainment festival. After a terrific week at the Edinburgh Fringe Festival in 2014, 2015, 2016, 2017 and 2018 we will return in 2019. We will stay in value for money, student accommodation close to the heart of the festival. We will help you navigate your way round the festival which is vast and can be overwhelming. We will organise shared visits to events and several team social get togethers - or you can just do your own thing. Help will be provided with travel arrangements and prebooking of recommended avents - but most events can be booked when you are there. Contact Dave now for more details and to join the acommodation waiting list. This will cost a little over £200 for the week for your own room in a shared student flat which is basic but comfortable. Join London IVC to join us! IVC is visiting Portugal in October 2019. The dates are set and accommodation recommended. Book your own flight and accommodation. There will be opportunity for outdoor activities as well as all the usual holiday things. Monday, 7th October to Monday 14th October 2019. The nearest airport is Faro. Flights from London, Newquay, Bristol, Cardiff, Edinburgh and Liverpool. There are several companies providing transfers from Faros to Albufeira. Search online ‘transfers Faro Airport.’ There is also a rail service between Faro and Albufeira. Recommended is the Ondamar Hotel, Rua Miguel Torga, Lote 20, 8200-284, Areias de São João, Albufeira, Portugal. The best prices are found by shopping around. Nick is travelling by EasyJet from Liverpool and expects to arrive in resort around 1400h. He leaves resort seven days later at 1000h. 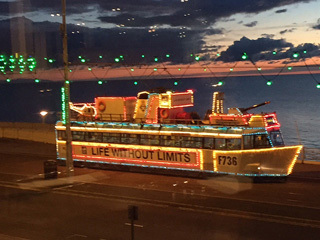 Meetup for an enjoyable social weekend in Blackpool to include two nights Dinner, Bed and Breakfast plus an exclusive ride on a vintage illuminated tram around the world famous Blackpool Illuminations. You need to be a member of one of the many IVCs around the country to take part in this event. Join Merseyside members for a week’s canal cruise starting and ending in Middlewich, Cheshire. On Saturday, 16th May 2020, the Fjord Viscount (http://www.andersenboats.com/fjord-viscount-narrowboat.php) will depart and head towards Llangollen. We travel out for three days, spend a day in Llangollen then return. In all there will be seven nights afloat. The cost is £280. If you are interested then time is of the essence. A £100 deposit is required at the time of booking. Merseyside IVC will pay the deposit from funds so we have eight berths. The balance is to be paid before the end of January. The tight financial schedule is very necessary as we may wish to hire a second vessel. The price per berth is overstated with intent to reimburse if the trip is fully subscribed. The Fjord Viscount sleeps eight. 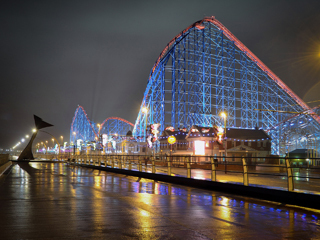 If five deposits are taken then the trip goes ahead and the cost will be £280 per member. The balance must be paid by the end of January 2018. If more than eight people subscribe then returnable deposits will be taken from persons nine and ten pending the booking of a second vessel. The cost will be equitably divided between all those who subscribe. The Llangollen Canal (https://en.wikipedia.org/wiki/Llangollen_Canal) is justifiably one of the more popular boating holiday canals in Britain. Most of its route is through unspoilt agricultural countryside, but with just enough locks and waterside villages to add interest. As the canal winds its way into Wales, it also features outstanding scenery and some world famous aqueducts. There are also has several short tunnels on this canal, to add to the excitement. Leaving Middlewich by way of an arm of the Shropshire Union Canal, the route has fine views over the valley of the River Weaver before making its way directly through an area full of Shropshire's 'black and white cows' to the main line of the canal. Here a short deviation would take you to the 'black and white buildings' of Nantwich. Turning off at Hurleston Junction, the Llangollen Canal itself then ascends a short flight of locks and sets off across open country, winding its way through Wrenbury under quaint old wooden lift bridges. It is worth pausing at Marbury for a short walk up to its remarkable church. As a bonus, several of the locks on this section have good pubs adjacent. At Willeymoor you don't have to walk at all, because there's a delightful pub slap bang alongside the lock. Gradually you have become used to locks, but at Grindley Brook half a dozen come all at once, the top three being telescoped together as a 'staircase' which can be something of a bottleneck in the summer season, especially on Thursdays when all the boats that have travelled towards Llangollen from the English end of the canal are busily heading back to base. Boaters have been in the habit of taking a taxi or catching the bus from Grindley Brook into nearby Whitchurch, but part of the old arm which once led right into the town has been restored to provide visitor moorings, and it is difficult to resist mooring up here and walking into this interesting old country town, famous as a centre of cheese-making. In the heyday of the canal a special cheese boat left here daily for Manchester, its hold covered with white canvas to keep the cheese as cool as possible. Beyond Whitchurch there are no more locks for many miles, though there are a number of lift bridges to be raised and lowered with the same windlass you use for operating locks. Passing briefly in and out of Wales, and crossing the mysteriously remote 'mosses' the canal reaches Shropshire's 'Lake District', skirting several of the charming meres which were formed hereabouts the end of the Ice Age. One of them, Blake Mere, is separated from the canal by the slenderest of margins, and makes a beautiful spot for a picnic. A short tunnel preceeds Ellesmere, a timeless old town with some particularly good shops specialising in local produce. The town arm provides pleasant moorings near to the canal company's original workshops, still used by British Waterways as a maintenance base, and the staff here welcome enquiries from passing boaters. At New Marton you pass through the last pair of locks on your way to Wales. Soon the canal is running parallel to the London-Holyhead road. Then it turns a wooded corner and you are confronted with two huge stone bridges, an aqueduct and a viaduct, carrying the canal and a railway respectively, across the valley of the River Ceiriog, from UK into Wales. Border crossings don't come much more dramatic than this, especially as, on reaching the far side of the aqueduct, the canal plunges almost immediately into a long tunnel. From moorings at either end of this tunnel it's a short walk into the little town of Chirk, useful for shopping and with a 14th century castle to visit as well. The mountains, which have been simply pale outlines on the horizon, become more tangible as the canal slips into Offa's Dyke country. Winding through woodlands you come to the River Dee and Pontcysyllte Aqueduct, the most astonishing feat of waterway engineering anywhere in the world. The 18 kilometres of canal from Chirk to Llangollen was awarded World Heritage site status by Unesco in 2009. A hundred and twenty feet above the river, in an iron trough no wider than the width of you boat, crossing the aqueduct is tantamount to flying through mid air! You could be forgiven for thinking that the last lap into Llangollen would be an anti-climax. It is nothing of the sort, as on a high shelf above the Vale of Llangollen and surrounded by high limestone ridges, the canal makes for its terminal wharf. Twenty six hours cruising away from Middlewich, should leave you with plenty of time to explore some of Llangollen's well known attractions. Take a ride further on along the Dee Valley by steam train; visit Plas Newydd, where the Ladies of Llangollen were the centre of gossip in the 18th century; climb up to the ruins of Castell Dinas Bran, over a thousand feet above sea level; visit the Canal Exhibition Centre; stroll along the last two unnavigable miles of the canal to the famous Horseshoe Falls; or just wander about the charming streets of the town, grateful that you haven't got to find a parking space! Fjord Viscount Refitted in 2016. Excellent style boat for larger groups of friends and family. Sleeps up to 8 people. 2 doubles and 4 singles (plus 2 pipe cots for under 12's) in 4 cabins or 1 double and 6 singles (plus 2 pipe cots for under 12's) in 4 cabins. A splendid narrowboat, designed and individually built by us to ensure the highest quality for our hirers. Beautifully fitted throughout in Ash, creating a bright and open visual space. There are 2 shower/toilet rooms on board. This Semi-traditional style boat has lots of living space, with a large galley/dining area, and lots of storage space available. The content of this bulletin is copyright to Association of IVCs (AIVC) and may not be reproduced without the express permission of the copyright owner.